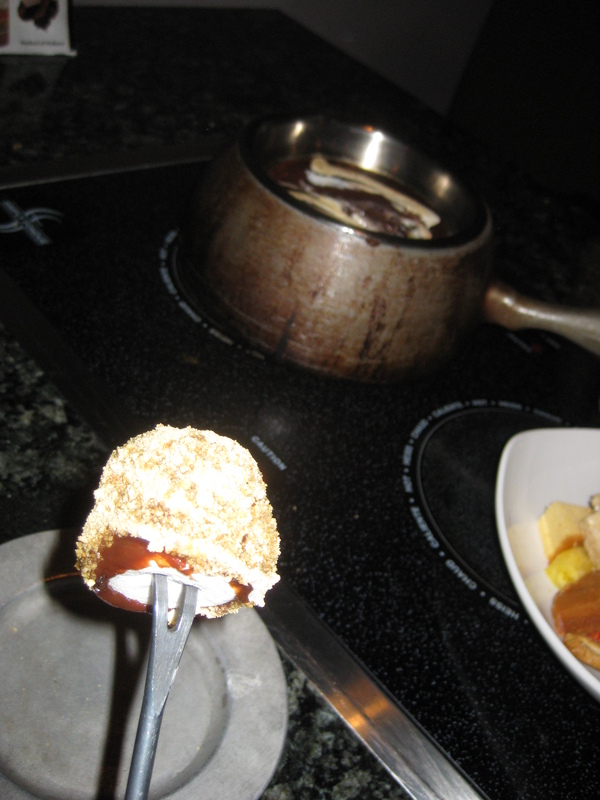 It’s interesting when I look on review sites that people either love or hate Simply Fondue. There doesn’t seem to be any middle ground. To me, this is just a sign of people coming with very, very different expectations. Hopefully this review will set the right ones in case you’re interested in trying it out. 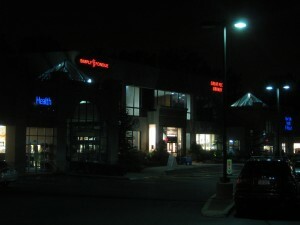 The restaurant is located on the top floor of the Waldbaum’s shopping complex. 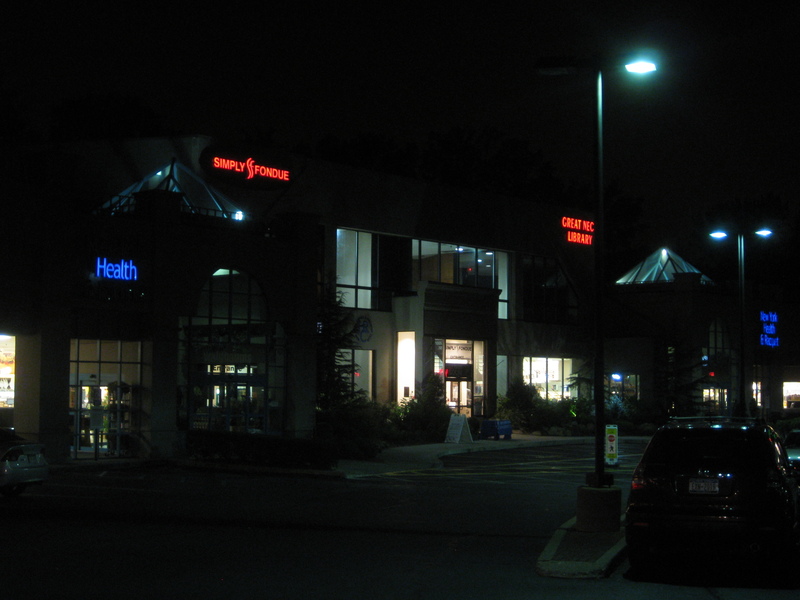 There’s an elevator and a spiral staircase that leads there near the Waldbaum’s entrance. 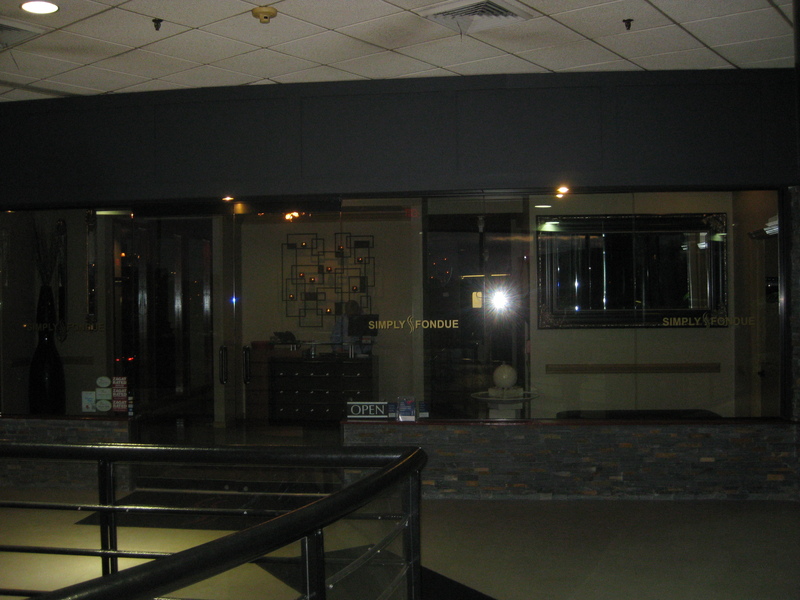 There’s a bar to the left of the restaurant, and then a pretty classy foyer in the front of the restaurant itself. Walking into the restaurant, you can see booths and tables set up, each with an electric burner on top. 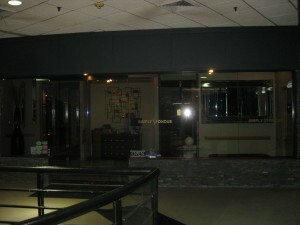 The restaurant is very dim, which makes for a nice romantic setting. First of all, Simply Fondue is, well, simply fondue. Don’t expect to come and be able to order cheeseburgers or traditional entrees or anything like that. You order fondue, which means you have pieces of bread, vegetables, meat, and sweets which you stick into cheese, hot oil (or broth), and decadent chocolate respectively. 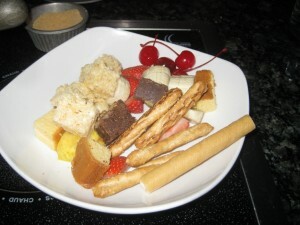 The “Fondue Sampler” lets you choose three of the four, while “Fondue Feast for Two” gives you all four. You can also add wine or a lobster tail to your meal if you’re feeling especially opulent (or corpulent). As for us, we went with the Fondue Sampler, and of course the odd man out was the salad. You get to know your server pretty well, as he or she will not only be your server but your chef and teacher as well as you learn the fine art of fondue eating. He or she will start out by turning the heat on your table, which happens to also be an electric rangetop. 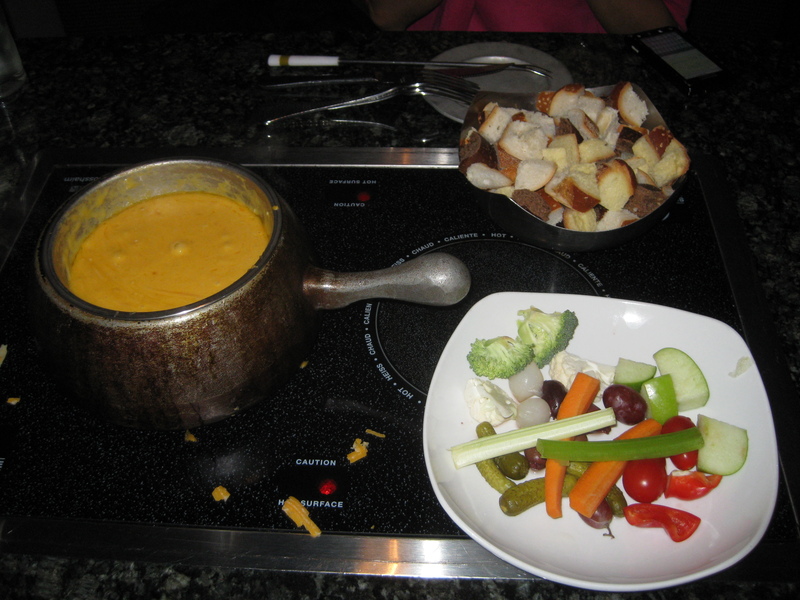 The first course is the cheese fondue. You have the choice of a couple cheeses, including Wisconsin Sharp Cheddar, Traditional Swiss Chalet, Spicy Pepper Jack, Mediterranean, and Italian Fontina. We asked our server which the most popular were, and he said the Cheddar and the Fontina (which he said was more like “pizza cheese”. We went with the Cheddar. Your server will start by pouring a little bit of beer in a metal fondue pot to serve as a base for the cheese (the alcohol evaporates away pretty quickly). 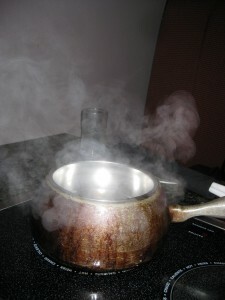 It will gradually get hotter and will steam when it’s ready. At that point, the server will drop gobs of shredded cheese into the pot, add some garlic and mustard powder for additional flavor, and stir. 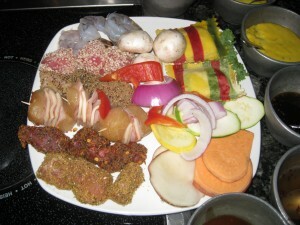 Once the cheese is a wonderful gooey consistency, the server will bring out a plate of bread cubes and raw vegetables. To eat the cheese fondue, you dip a veggie or bread into the cheese and chew it all up in your mouth. The vegetables and the bread are both fresh and taste great with gobs and gobs of cheese. The beer base gave the cheese a bit of a sophisticated flavor. I didn’t want to think about how many calories I was taking in each time I dipped, but it was worth it. For the next course, the entree, a plate of prepared and marinated raw meat is brought out to you. You can choose either 6 or 9 meats depending on what type of fondue you get. We went with the teriyaki sirloin, herb crusted tenderloin, swiss chicken, roasted garlic chicken, ahi sesame tuna, and black tiger shrimp. As you can see, it also comes with other vegetables and ravioli. 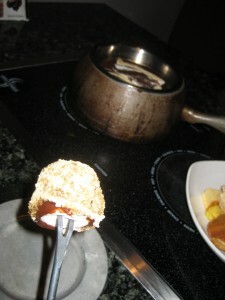 You can have your fondue in different ways–deep fried in oil (which is the traditional way but gets really, really oily), boiled in broth, or simply grilled. Grilling the meat gives you the “pure flavor” of the meat, although I suppose it’s not technically fondue. Still, we went for it. True to its word, the meats all tasted exquisite. Some of them were perhaps marinated a bit too much, where the flavor was too intense and salty, but for the most part they tasted very good. You’re also give a large variety of dipping sauces (yogurt curry, sweet and sour, horseradish, spicy peanut Thai, ginger teriyaki, and honey mustard tarragon). One think I would have liked was for the server to tell us which meat went well with which sauce. If there’s one gripe I have, it’s the portions you get for the price–all you get is one bite each. That’s not necessarily a bad thing, as chances are you’ll have loaded up on the cheese earlier. The final portion of the meal was the dessert. 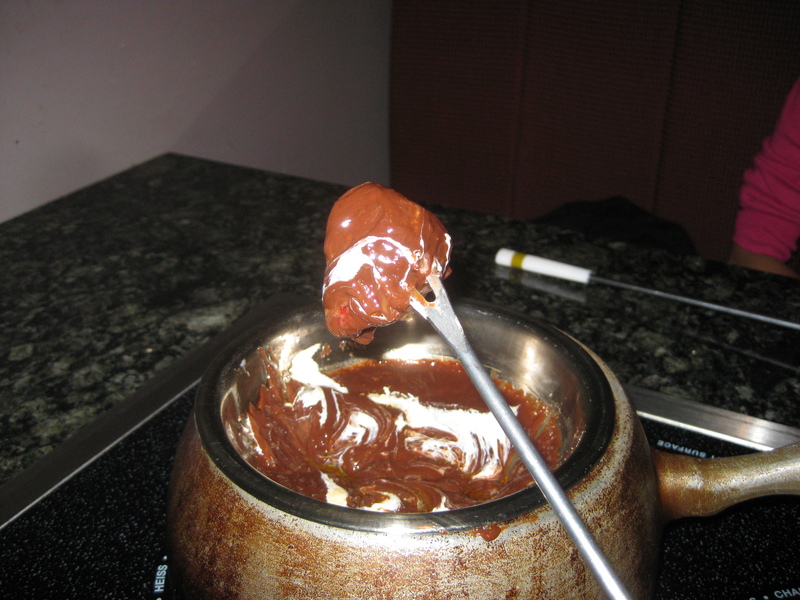 There are ton of choices of chocolate fondue, spanning every imaginable variation of chocolate you can think of, from white to dark. 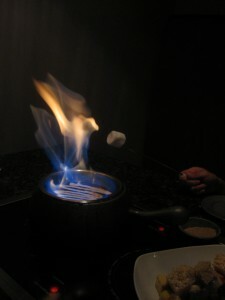 We asked the server what the most popular choice was, and he said the Campfire Chocolate. The server melted the chocolate and treated us to a dazzling show as he poured some Wild Turkey bourbon on top and set it ablaze. He gave us marshmallows and told us to grill the marshmallows over the fire. The next step was to dip the marshmallow in the melted chocolate, and then roll it in a small bowl of graham cracker dust. The result–one of the best S’more I’ve ever had. There are other fruits and sweets for dipping in chocolate. 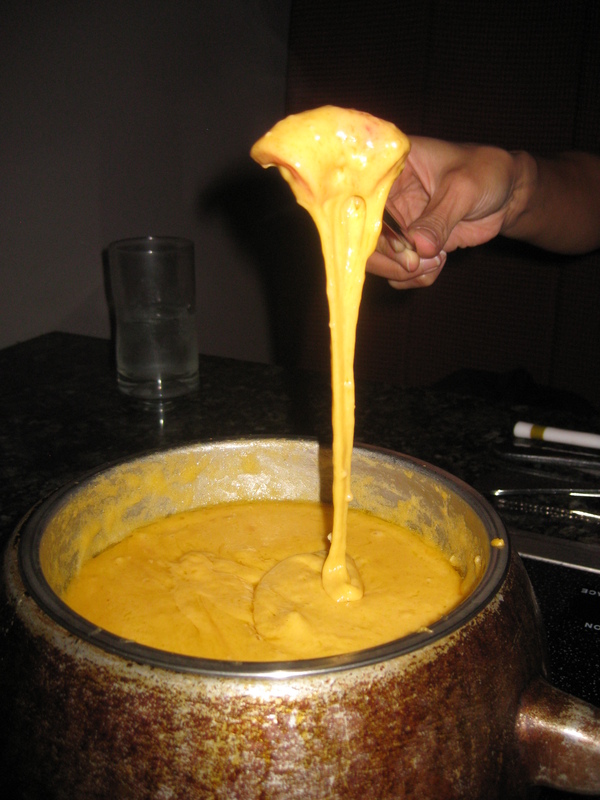 The process was the same as with the cheese–just dip and enjoy. The fruit is definitely fresh and juicy–and there’s nothing in the world like a good chocolate covered strawberry. For the dessert we were encouraged to ask for seconds, but of course by this time we were pretty much stuffed, not so much because the portions were all that large, but probably more so because enough time had passed that our brain had already told our stomachs that we were full. The service throughout the meal was impeccable. 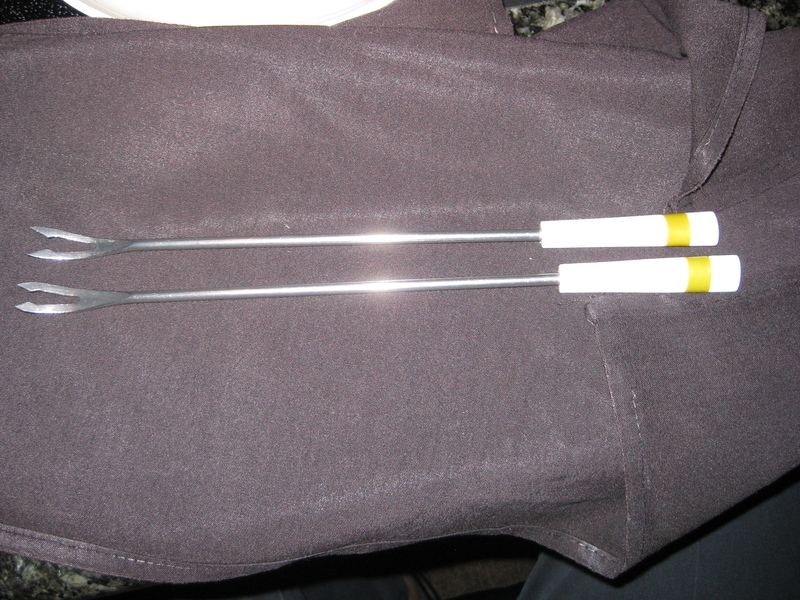 The servers knew their stuff, from how to mix the various fondues to how to teach us how to cook properly. Our water glasses were never empty, and we were constantly asked how we were doing, almost to excess. If there’s one gripe I have about the meal, it’s about how very long it was. From start to end I’d say we spent about two and a half hours there. 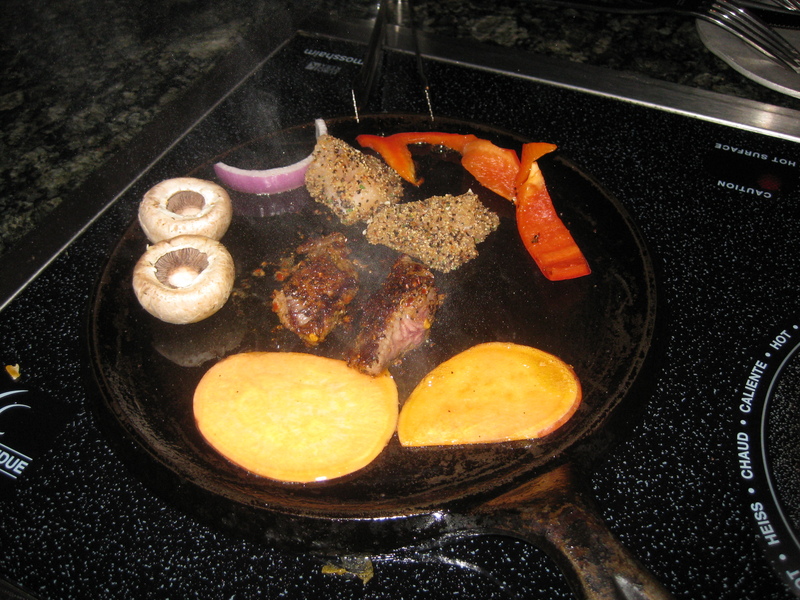 Of course, a lot of that time was up to us and how quickly we wanted to cook our food, but for some reason there were periods of time where it felt we were waiting too long for them to prepare the food (which is ironic because they’re not even cooking it). Still, just a minor point and certainly one which comes with the territory for this kind of restaurant. Long story short, Simply Fondue is definitely a “fine dining experience” right here in Great Neck. If you come here for a quick bite or for huge portions of meat, you’ll probably be disappointed. On the other hand, if you happen to be celebrating a special occasion and are looking for a dinner that’s just as much a production as it is a meal, that’s tasty and entertaining and a bit refined, it’s definitely a great choice.